Is the app-gap between Windows Phone versus iTunes and Google Play really that wide? On a regular basis, we discuss the various application ecosystems between the current top three platforms. There is no disagreement that iOS and Android devices have access to a rich well of applications with which many tasks can be accomplished or games conquered. 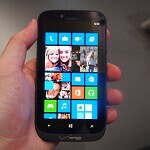 Windows Phone has seen its portfolio of applications grow rapidly, especially since the launch of Windows Phone 8. Still, the arguments from many, fans of Windows Phone and non-fans alike, is that the app catalog still needs more. Those that reside in the Android realm of things will point out that Windows Phone’s claims of having a number of the same popular apps are false. But are they? We decided to take a look at the top paid and top free apps in each of the three platforms. For purposes of actually completing this article in this decade we did not delve into any sub-categories, we just picked the “top free” or “top paid” from the front page of each app portal. Some things to consider, if you look at the top applications found in Google Play, a large number are applications that are not germane to iOS or Windows Phone by the very virtue that the two latter operating systems do not have the ability to use widgets or ROM managers. When that factor is taken into consideration, the first or second party application choices reveal quite a bit between the three platforms. For purposes of a real “apples-to-android-to-windows phone” comparison, we opted to no count the applications that are “Android only.” The tricky part is whether to count a first-party application like Instagram against third-party solutions like Instance for Windows Phone. As it happens, since the fully featured Instance is a paid app it is a tenuous comparison to its iOS and Android counterparts which are free, but the overall solution is present, so it really becomes an individual choice. Then there are applications that are different but perform the same function, like custom camera applications. One example is the Camera+ app for the iPhone. The developer, tap tap tap, does not make applications for anything but the iPhone. However, there are similar applications to be found for Android and Windows Phone, such as ProShot for the latter, and Camera ZOOM FX for the former. Another factor to consider is the functionality of the applications that are available across all platforms. Skype is available across iOS, Android and Windows Phone, but the Windows Phone app is lacking in functionality, like video messaging. There are differences in functionality between other first-party apps too, like Twitter. Twitter is the only major social network to build an app for Windows Phone (Facebook is built by Microsoft, Google+ does not have one and LinkedIn is business). Even then, the app is not the same across the three platforms. We are not going to develop a complicated formula to make these comparisons. Based on how the list of popular applications are arranged at the time of this writing, we will simply note applications that are common across the platforms and then cite the stand-out apps that each can boast about. We did not dig overly deep into each well of apps either, only the top 50 to 100 overall. With that, let us turn the page and look at the top free applications to be found on Windows Phone, Android and iOS. But still... I more prefer using open system just like Android because... I LIKE CUSTOMIZATION!! I read somewhere that Windows Phone has 2 % of the market or something, so "the 3rd major OS" sounds better than it really is. Just because they may not be important to you doesn't mean they aren't important. The only appeal that IOS ever had for me was the games and game center. Games are HUGE market and appeal for people. The biggest reason so many people want bigger and better phones/specs is the ability to play great high end games. Whether i end up using windows phone or blackberry i dont think there will be an app that i want but not available. Im not that demanding, and i dont even use instagram and all sorts of services (netflix? Pandora? Vine? I dont even know what they are if i dont read tech sites) other than FB and Twitter. I'm ready to switch out of iOS but I'm always going back and forth between Android or WP. In a way I'm lucky to have to wait till November so I can see what each one is gonna bring to the table.. and to save up some cash. I believe MS WP8 team is sleeping with earmuffs on. Also they have a tendancy of abandoning their users, even their most faithful ones. Couldn't have put it better myself. I was an avid Windows Mobile user (back in the day) but, finally gave up on them. Hate the tiny screen on the iPhone even if it did grow .03 inches last year and, overall, hate the restrictive nature of iOS. Android allows me to do everything I want without having to "jailbreak" the bloody device, for example (some of my favorites): 1. TubeMate (download YouTube content directly to my phone). 2. tTorrent Pro (search and download torrents from around the World, making my phone truly "Global"). 3. Groove IP (VOIP using GVoice) 4. Astro (File Manager with integrated Dropbox). 5. Dropbox (if you don't know what this is then, you might as well be using a flip phone). 6. MDScan (document scanner using main camera, scan can be exported as PDF or Image - GREAT tool). 7. Countless premium games that I've purchased for either 99¢ or 10¢: GTA III, Vice City and Rio; Samurai II Vengeance THD; Asphalt 6 & 7; Need For Speed (Most Wanted); The Dark Knight Rises; Avengers Initiative; etc (too many - 99¢ or less) 8. Talking Pierre (my favorite pranking app, you can literally have Pierre curse someone out by name) And, that's only about half of what I've got on my lovely Note 2; I haven't even touched on the S-Pen and S-Note!!! Yeah, so I'd agree with you: MS WP8 is sleeping with earmuffs on (and blinders, too). The saddest part is the Skype app. MS owns Skype, and they have the worst app of the three? Seriously, they should have the best of the three. Hmmmmm.... sounds like somebody got a backhander from Microsoft. Why does an app comparison article need adverts for the 'hardware strengths' on each page? We make it pretty clear when it's an advertisement. I was looking at the assortments of apps that I use most when I'm switching between iOS, Android and WP and with exception of Google+ I have not run into so many issues. Everyone's mileage may vary, and I'm not saying there are no legitmate gripes against WP, but when you look at the most commonly used apps, I don't know that makes the best argument anymore. I disagree, the "most commonly used apps" would be apps like Facebook, Twitter, Instagram, Skype, etc; they are all Social Media apps and an extension of said Social Media services, I wouldn't necessarily consider them apps that add a considerable amount of varying functionality to any platform whether it's Android, iOS or Windows Mobile (YES, I said Windows "Mobile")!! This did come across as some sort of defensive ploy for Microsoft. And, BTW, I don't use most of the above (FB, Twit', Insta'); I do use Skype from time to time. We all have a set of niche apps that we like and are not available elsewhere. The common denominators for the majority of users of smartphones are social, email, and pictures. Since all smartphones perform those tasks differently, the apps they use to do that are fairly relevant. Your point is well taken however. I wish I could say that I could give Microsoft another try but I can do too much now on Android that, for the foreseeable future, I would not be able to do on Windows Mobile. And, for what I do, iOS is out of the question. I understand that the average user just uses their smartphone for voice calls, email and Social Media, hence, I am not the average user nor am I willing to devolve. Your point is also well taken but, I still think Microsoft has much progress to make; Dear God, they don't even support Skype Video calling (and, they own Skype)! They DO support Skype video CALLING, just not video MESSAGING (for now). That said, you can send video messages through the regular messaging method, as well as email. What particular things do you do on android you feel wouldn't be able to be done on Windows PHONE? I'm genuinely curious since I switched from android to WP (and at the time, it was only on 7.5) and haven't looked back. I came here to read an article about an app-gap between the 3 major mobile operating systems. I expected some graphs or statistics on how many apps are currently available for each platform, and instead I get a 4 page article about why Windows phone is better. Hardly, I was trying to convey that the argument of "there aren't any apps" holds less weight. 10 of the top 15 paid apps in Google Play are apps that only apply to Android. 9 of the top free 15 apps are social, all of which (except Facebook Messenger, which is baked into WP) are also available for WP (and iOS of course). I probably could have emphasized it better in the summary that a lot of underlying issues that WP is facing traction-wise is that user experience and notifications are more of an issue than apps alone. There's nothing to compare. OfficeSuite Pro handles Word, Excel, PowerPoint, and PDF documents. Office 365 provides up-to-date Office for 5 computers, plus 5 mobile devices, Word, Excel, PP, OneNote, Outlook, Publisher, Access, Office on Demand, additional 20GB SkyDrive, and 60 Skype minutes each month. Can you insert rows in excel now?